It’s such a beautiful city, that every time I go up there I want to emigrate. I’ve been back and forth to Edinburgh for at least the last seven years, primarily for the Fringe. Always either with a girlfriend (or more recently with The Hubz) to spend 5 days indulging in the finest stand-up comedy shows and to get more than a few beers down us. Nightclubs and dancing the night away also used to be the order for the week, but my legs do that well anymore. 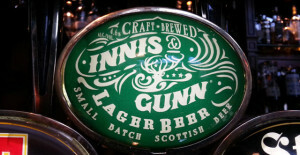 But on Wednesday I headed to Glasgow to snoop around Wellpark Brewery where Innis & Gunn beer is brewed, then back over to Edinburgh to get my first taste of Innis and Gunn’s first ever lager and get the low-down on the new brew from Founder and CEO of Innis & Gunn, Dougal Sharp. Check it all out here. 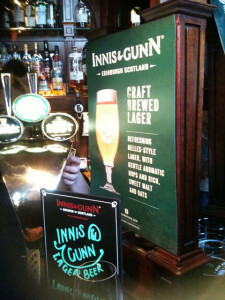 I like Innis and Gunn beer, always have. There I said it. 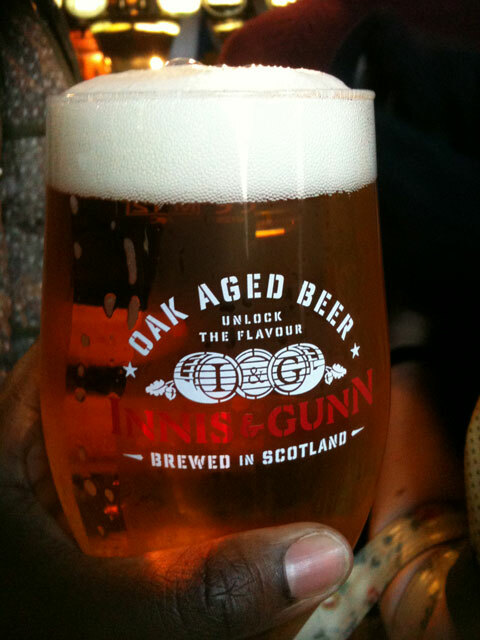 At 6% it’s Original oak-aged whisky beer, which I love (it features in my ‘New To Beer? 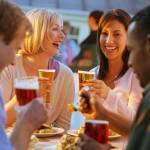 My Top Ten Beers‘ post) used to be the lowest strength beer they produced. Until now. 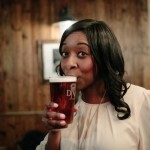 Their new 4.6% lager – which is Original beer but un-oaked – was launched at a packed out The Guildford Arms in the city centre. The I&G Lager has easily got to be the sweetest lager. It’s still got the the trademark sweet toffee and vanila on it. And I do like my beers sweet, however I’ve only ever tried one craft lager I’ve liked. At the moment, I’m not sure this one takes that number to two yet. That said I’m game to try the lager again for a second outing. It’s only on draught right now and probably only in Scotland but keep an eye out for it as it makes its way down the UK from Scotland. It’s going to be available in bottle later in the year. 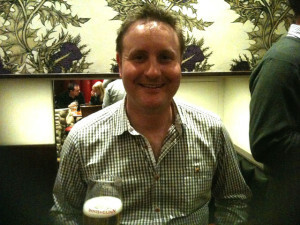 Here’s my latest #LoveBeer Audioboo with Dougal. He’s known breweries since he was just 14 years old when he started running errands at the Caledonian Brewing, where his Dad, Russell, was Head Brewer for many years. You went to Edinburgh to snoop around Wellpark Brewery, but Wellpark Brewery is in Glasgow … so where did they actually take you? Why does Dougal say in the recording they brew in large batches when the packaging claims it’s brewed in small batches? Yes, slip of the city! lol! And on point two – well that’s one for me to pass to Dougal,isn’t it? Or you feel free to ask him yourself.